I recently made the final of the Jolomo Arts & Crafts PSYBT Awards and today found out I won third prize! 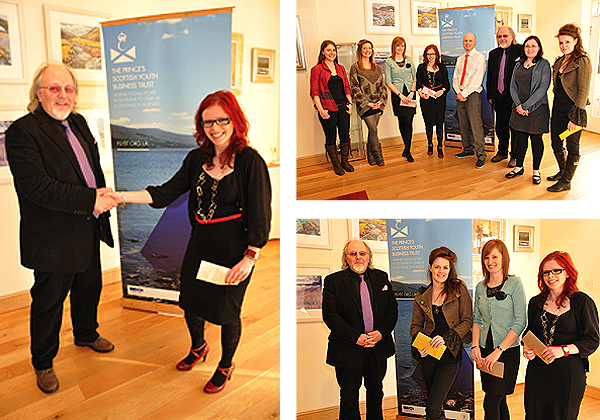 With over 100 of Scotland’s best creative businesses entered it was some tough competition. I was delighted to be included in the final seven and over the moon to win the third prize of £750. I’m so happy, I’ve worked so hard over the last three years and to be short-listed was an honour, never mind winning a prize. It’s great for my work to be recognised by one of Scotland’s leading artists. First prize went to Judith Clark and second to Lauren Crawford (also of Dundee) for their respective textile businesses. And last month I won a prize at the Dundee Craft Makers Awards ran by Dundee Council so it’s awards all round!